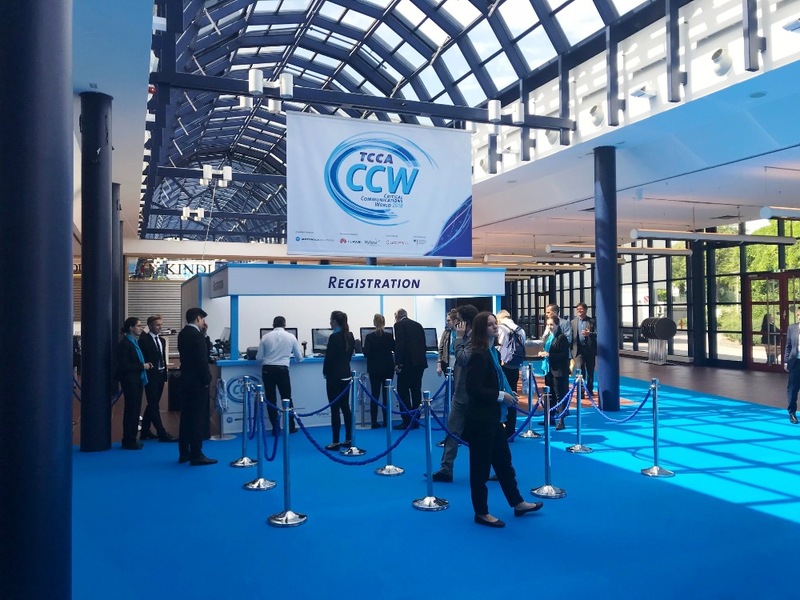 May kicked off with a busy few days in Berlin setting up for CCW 2018! This year’s event was organised by MA Exhibitions and we worked with them to design and build the whole event. Critical Communications World is the annual event for critical communications professionals from around the world. It’s the biggest exhibition of its kind and it is a really inspiring event sharing innovation and knowledge under one roof. 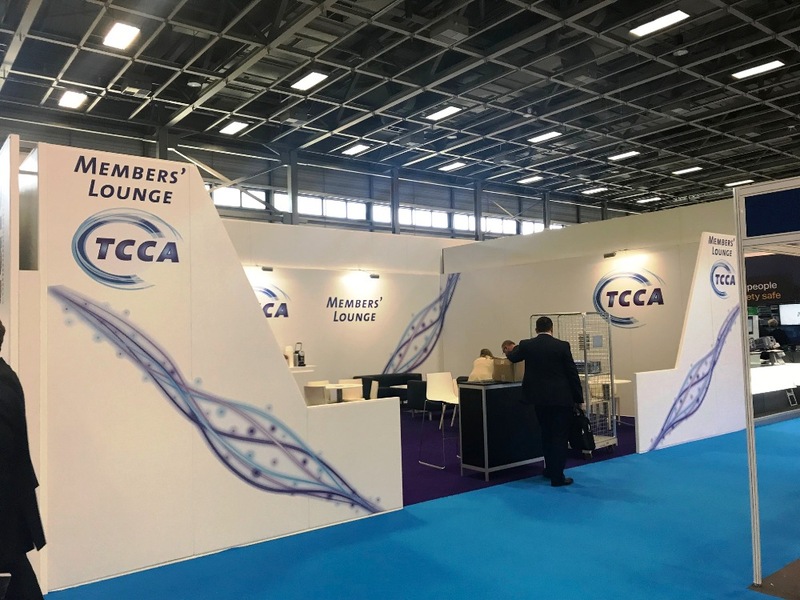 We installed a range of displays to suit this event, including modular exhibition stands, registration stands and seminar spaces. 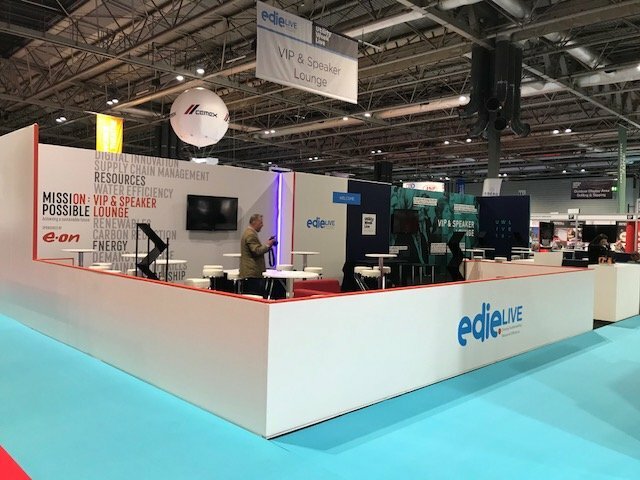 We recently worked with Event Shaper at the NEC in Birmingham for two amazing shows at the forefront of their industries. 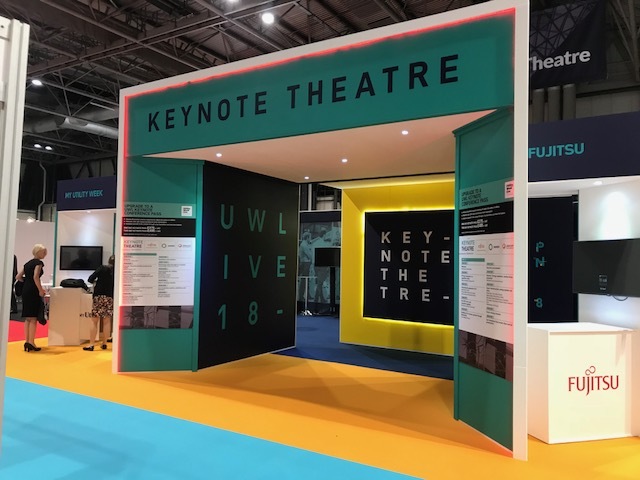 Utility Week Live attracts over 3,000 utilities professionals annually and this year it explored the way technology and changes in the industry are transforming the way gas, water and electricity utilities do business. It was a very thought provoking event that offered great networking opportunities for all involved. Our high-impact exhibition stands stood out in bold colours, patterns and large text. 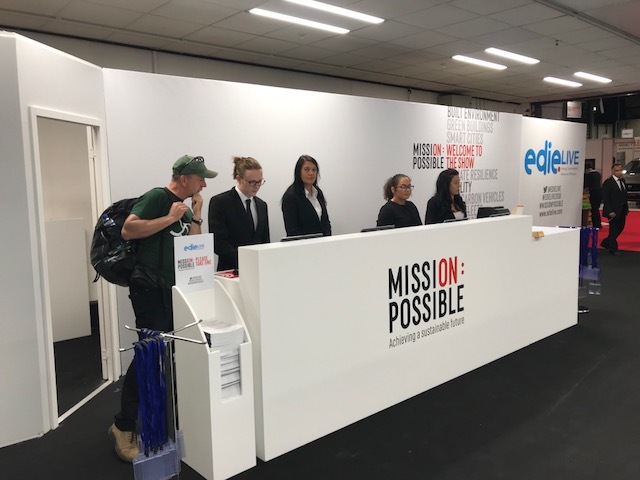 Edie Live 2018 was a unique event that focused on how energy and resource professionals can achieve a sustainable future. With inspiring and empowering discussions, it continued the important discussions for the industry. We designed professional displays and interactive spaces to encourage discussion and convey the key message of the event. 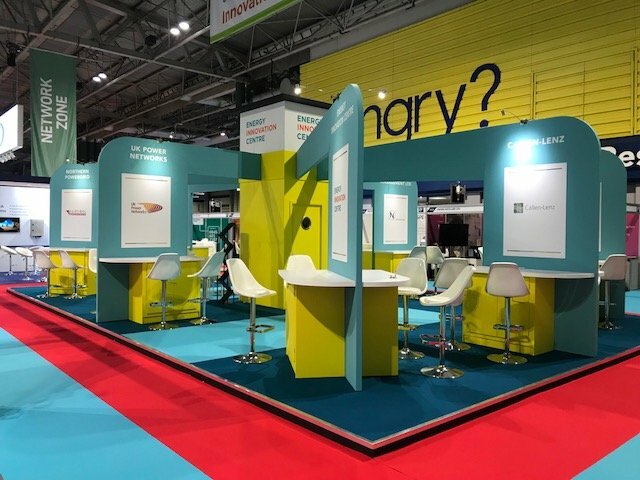 As experienced exhibition stand designers and builders, we’ve got lots more events coming up over the next few months so check out our Twitter for all the latest! 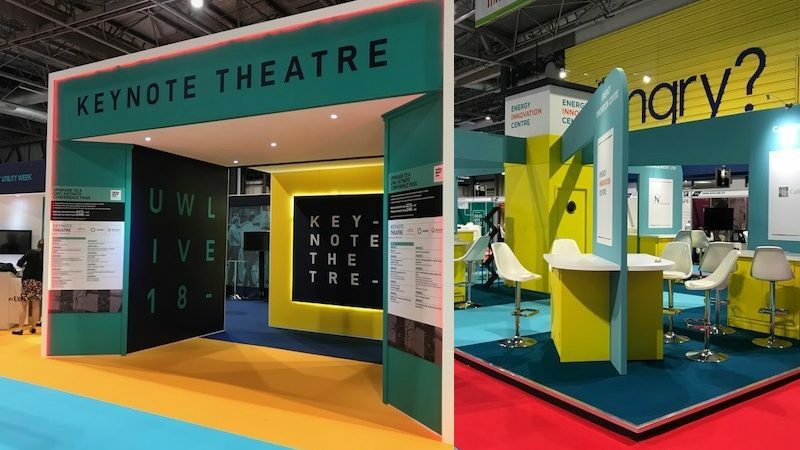 The Exhibit 3Sixty team are also looking forward to the up and coming AEO Awards in June where we have been nominated for Stand Design & Build Supplier of the Year! If you are exhibiting this year, get a free quote from Exhibit 3Sixty. We’re a full service contractor so we can provide everything from stand design to installation. Call us today on 02476 473 663 to discuss your spec!